After coming just one game away from the Grey Cup in 2017, the Saskatchewan Roughriders took a step back in terms of their final 2018 performance, losing to the Winnipeg Blue Bombers in the Western Semi-Final. 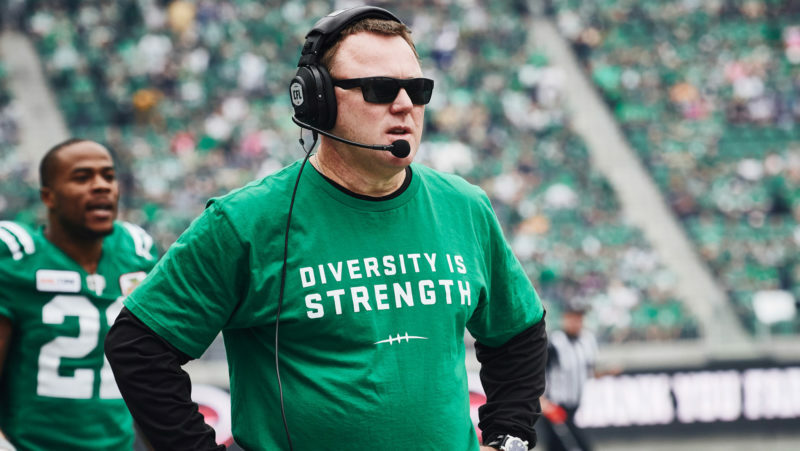 In the end, though it was another step forward for Chris Jones’ team, which went from fourth in the West in 2017 to second in the division this season, finishing 12-6 and hosting the first playoff game at new Mosaic Stadium. The Roughriders’ season went back and forth all year, as they faced a quarterback rotation that seemed to last the duration of the season. 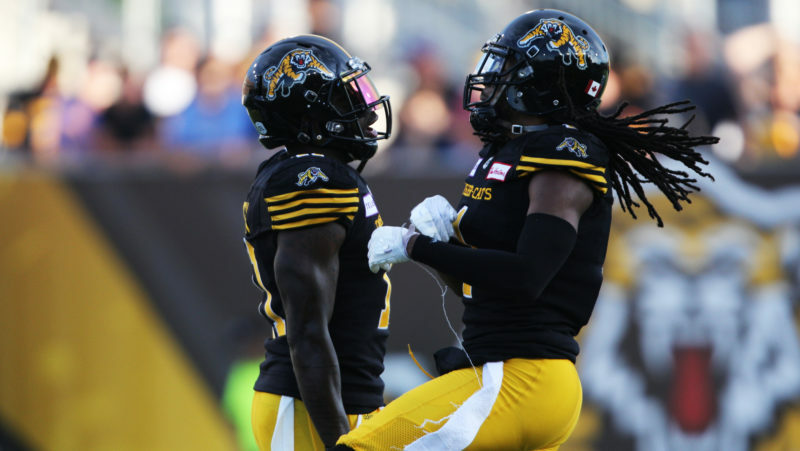 Zach Collaros, who was brought in during the off-season after spending the previous four seasons with the Hamilton Tiger-Cats, went down early, while Brandon Bridge faced his struggles, resulting in Chris Jones rotating pivots until Collaros’ return. The defence would continue to be the backbone and the identity of Saskatchewan. After bringing in Charleston Hughes in the off-season, Saskatchewan entered the season with one of the league’s scariest pass-rushes as Hughes lined up opposite of Willie Jefferson. Combined, the tandem tallied for 25 quarterback sacks. 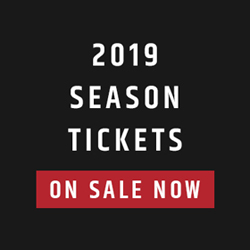 Despite a 12-win season, the Roughriders have some work to do in the off-season, especially on the offensive side of the ball. Chris Jones’ biggest concern will come with answering the offensive consistency for his squad, and which assets are needed to improve that through free agency. 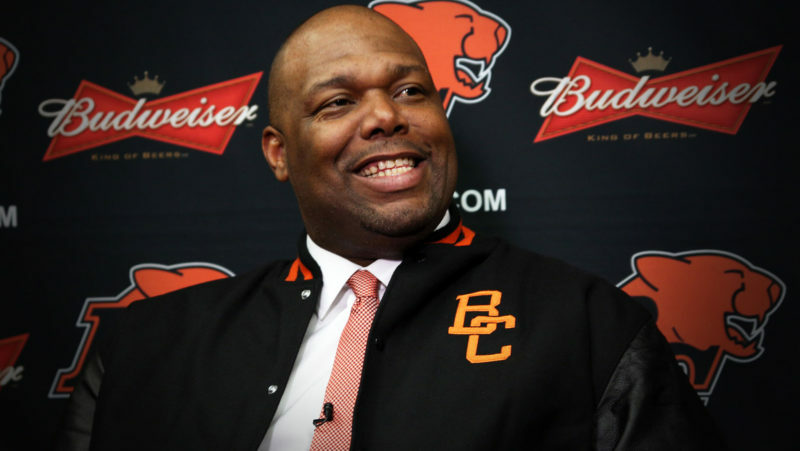 Jones is coming off a season in which he won the league’s Coach of the Year award, while the Riders won the season series against the league’s eventual champion in the Calgary Stampeders — the only team to do so. 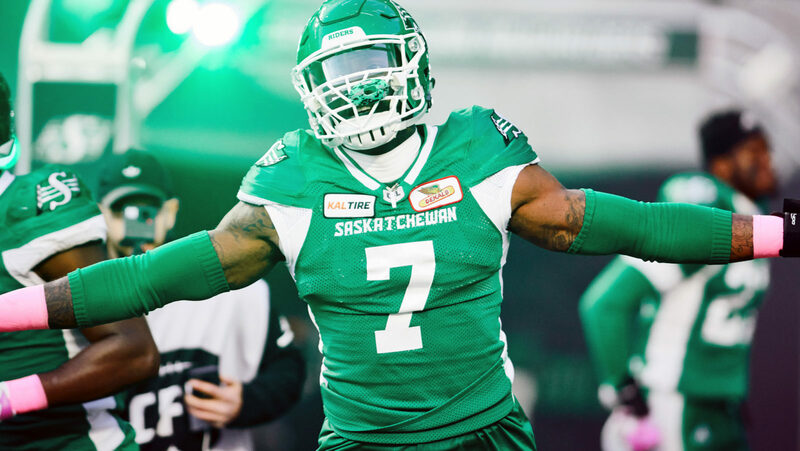 Personal accolades aren’t something Jones strives for, however, as he’ll be looking to address the offensive issues the Riders faced this past season, with the hope of fielding a much more consistent unit to mirror the dominance found on the opposite side of the ball for Saskatchewan. The biggest pending free agent on the list for the Saskatchewan Roughriders is the one that completes the bookends of dominant defensive pass-rushers, Willie Jefferson. After posting 10 quarterback sacks this past season, Jefferson is a likely lock for the Riders to sign to a new contract. If locking up Jefferson isn’t the Riders’ top priority, then figuring out what they want to do at the quarterback position surely is. Both Zach Collaros and Brandon Bridge are pending free agents. It’s yet to be determined whether Chris Jones plans on bringing either of the two signal-callers back, or whether he’ll rather bring in a new face to operate the Riders’ offence. Further in the backfield, the lone back without a contract at the moment is Cameron Marshall. With 34 carries in the regular season, Marshall managed to average 6.5 yards per carry as he totaled 220 yards in three games filling in when injuries struck the Green and White’s backfield crew. Naaman Roosevelt may also be ready to hit the market, especially with the surge of Jordan Williams-Lambert, who was a finalist for the Most Outstanding Rookie, along Shaquelle Evans and Kyran Moore. After back-to-back 1,000-yard seasons, an injury-riddled Roosevelt took a step back in 2018 as both Williams-Lambert and Evans led the Riders in receiving. The Roughriders spent 2018 with an offensive line comprised of almost entirely Canadian content led by the veteran in Brendon LaBatte. Due to their strong Canadian presence along the offensive line, the Roughriders weren’t in dire need of national talent at the skilled positions on offence — their leading national receiver still remaining is Devon Bailey, tallying 10 receptions for 109 yards. Patrick Lavoie, added late in the season at the trade deadline, may be able to help the cause in 2019 after signing an extension. The majority of the national impact comes on the defensive side of the ball. That’s where you’ll see nationals such as Zack Evans and Eddie Steele getting dirty in the trenches, Sam Hurl and Cameron Judge shutting down the run and patrolling the flats, and Mike Edem in the middle of the backfield at safety. All of which are pending free agents this off-season. Saskatchewan’s entire special teams core is compiled of Canadians with Tyler Crapigna and Brett Lauther at kicker. Lauther filled in when Crapigna was ruled out for the season back in June. Josh Bartel will likely be back in 2019 as the Riders’ punter. 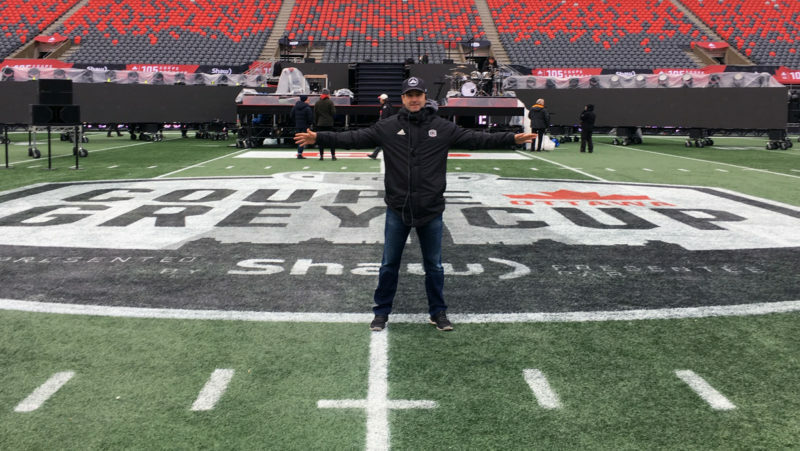 There was plenty of hype around Zach Collaros when he arrived in Regina as a member of the Saskatchewan Roughriders ahead of the 2018 season. Unfortunately, a concussion put him out of service in the early-going of the season, resulting in the seven-year quarterback missing four of the Riders’ regular season games along with the Western Semi-Final. 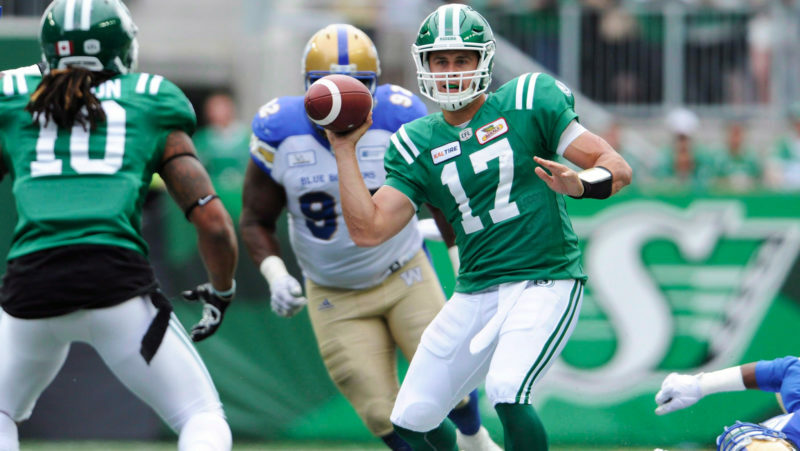 Collaros finished the season passing for 2,999 yards and completing 61.3 per cent of his passes. His touchdown to interception ratio is a perfect depiction of the offensive woes the Riders faced this past season, as he finished the season throwing for nine touchdowns and 13 interceptions. During those four games in which Collaros was out, Chris Jones used Brandon Bridge and David Watford in a quarterback cycle, giving both pivots playing time. Both quarterbacks struggled in the absence of Collaros. Bridge, who received playing time even when Collaros returned, threw for 904 yards in nine games worth of action, passing for one touchdown and four interceptions. Watford threw for 168 yards, one touchdown and three interceptions in five games worth of action. Without a doubt, there was lacklustre performance out of the quarterback position throughout the season. Although they did enough to allow the Riders to finish the season with a 12-6 record, it leaves room to wonder just how good this team could have been with consistency at the position, one which Chris Jones is surely looking to address this off-season with several pending free agent pivots around the CFL. With just Cameron Marshall sitting as a pending free agent, Chris Jones must be pleased to have Tre Mason and Marcus Thigpen under contract. The pair acted as a one-two punch for much of the season, and Thigpen made a splash on special teams on what seemed to be a weekly basis. The Roughriders’ receiving corps appeared to have transitioned away from the duo once comprised of Naaman Roosevelt and Duron Carter. Carter was released midway through the season and Roosevelt found himself, when healthy, as a third-look behind Shaq Evans and Jordan Williams-Lambert. Roosevelt is now a pending free agent with a future in Regina in question. For Chris Jones, nothing is off of the table. He may very well decide to re-sign some of that talent from last year or elect to sit and wait to see who from the league’s long list of pass-catchers that are without a contract will hit the free agent market. Jones certainly can afford to wait it out with his top two receivers under contract. Either way, the Riders will reap the benefit of a group that was rebuilt in 2018, with a cast of young receivers that will be stronger and more experienced moving forward. Formerly a first overall draft pick in the CFL Draft out of Oklahoma, Josiah St. John is a pending free agent this off-season. Needless to say, the Roughriders are in a very good position to be in with just one offensive lineman standing as a pending free agent. Continuity is the most important thing for any offensive line and the Riders have it. For the Riders, signing Zack Evans and Willie Jefferson seems like a foregone conclusion. Both were critical to the team’s success last year and there’s a mutual fit. Mic’hael Brooks, once a dominant interior lineman with the Lions before being released, became a starter in Saskatchewan before getting injured. Meanwhile, Tobi Antigha is a promising young defensive end in the CFL, but could be in search of a bigger role elsewhere. Samuel Eguavoen finished 2018 as Saskatchewan’s leading tackler, tallying 91 total tackles. He, along with Sam Hurl and Cameron Judge, will be pending free-agents as the league’s free agency period rapidly approaches. Hurl and Judge ranked fourth and fifth on the team’s tackling list and help Chris Jones balance the ratio. A dual-use player in Nick Marshall is under contract, which certainly helps the Riders as his value would have certainly gone up after his short-yardage play on offence this past season. Ed Gainey is also locked up as one of the league’s biggest defensive playmakers. Each hauled in three interceptions in 2018, tying a team high. Among the four defensive backs who are pending free agents for the Riders, Mike Edem and Loucheiz Purifoy may be the two worth re-signing. The 29- and 26-year-olds bring more value to the Saskatchewan defence than the ageing Jovon Johnson and Marc-Oliver Brouillette. Edem has become one of the CFL’s more reliable safeties, while Purifoy fits the bill on Chris Jones’ defence.